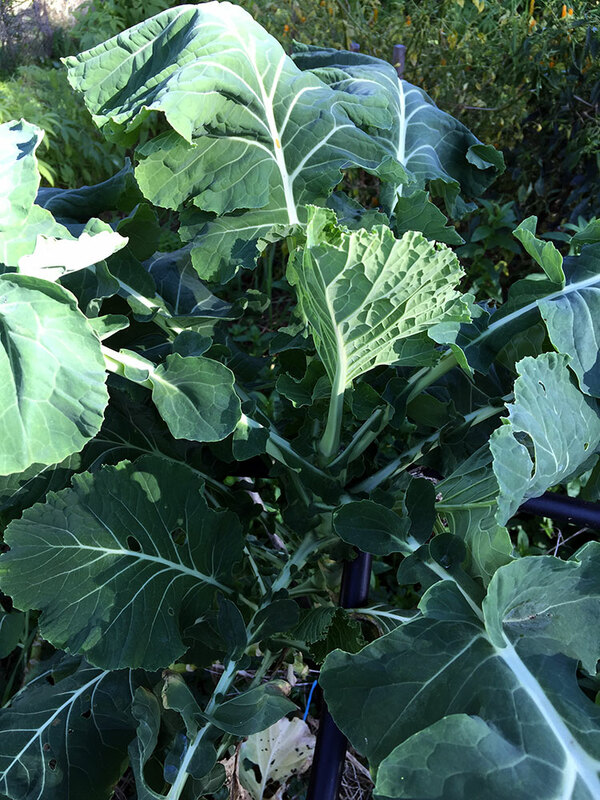 Who knows where this originated… but this group of Kales ( Brassicas – various species ) has come to be identified very clearly with the Portuguese cuisine and especially the classic soup made with it. 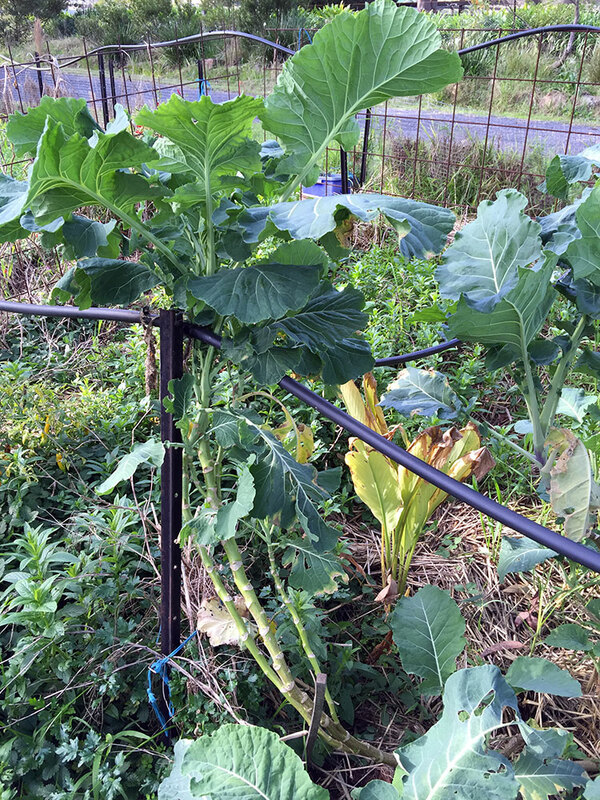 The leaves are large and the plants are very string growers. They are fairly long lived perennials if in the right climate. 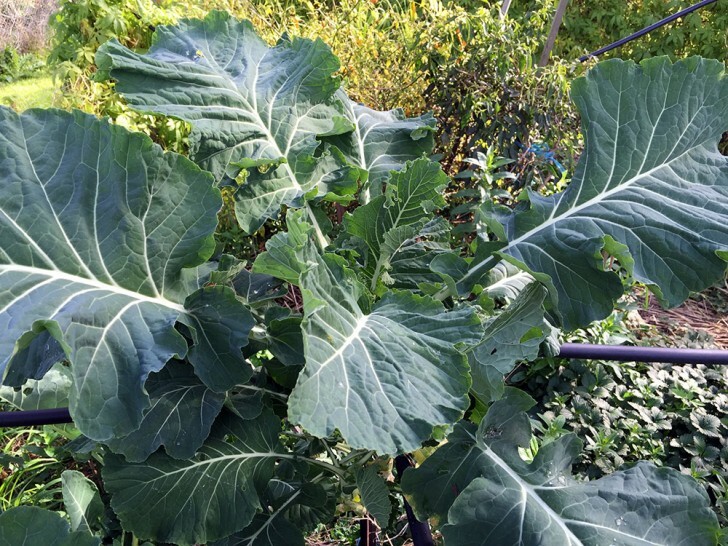 They seem to love the heat of the summer but grow really well during the cool winter and produce enormous leaves and grow very tall stems. During the summer period they can emit a very strong kale odour and attract huge amounts of insect wildlife because of this. Some not so good like the white cabbage butterfly. But if you have a good local small insect eating bird population this can be pretty spectacular. The new winter eaves are the best for eating and cooking. When very small they are ok raw but generally they need to be cooked or at least blanched to remove the strong sulphurous tones – but once that is gone the flavour is excellent and very tasty in soups or simply quickly braised with some soy or other dressing on it. They are easy to germinate and grow but I have found they tend to be slow to flower and seed which is odd considering their size. There are two main types that I have grown so far – the smaller faster growers that form almost heads like the variety ‘Lisa’ and then the larger open growers like ‘Frisada’. They have a lot in common with collards but are distinctly different in flavour and size. Also commonly known as ‘Galega’.